The Boston Red Sox and starting pitcher Chris Sale are reportedly in agreement on a long-term contract extension, according to Ken Rosenthal of The Athletic. Chris Sale has passed his physical. Deal is official, source tells The Athletic - five years, $145M in new money, with deferrals. The breakdown: 2020 - $30M 2021 - $30M 2022 - $30M 2023 - $27.5M 2024 - $27.5M Opt-out after three years. Alex Speier of the Boston Globe previously wrote that the two are nearing a deal to keep Sale with the reigning World Series champions "for years to come." The left-hander, who turns 30 on March 30, would become the latest superstar to re-sign with his current team before potentially hitting free agency. The group already includes the Los Angeles Angels' Mike Trout and St. Louis Cardinals' Paul Goldschmidt. Sale is set to enter the final season of a five-year, $32.5 million contract. He's scheduled to make $15 million in 2019 before potentially hitting the open market next offseason. An extension would alleviate concerns the Red Sox could lose one of the most important members of their star-studded roster next winter. Sale, who started his career with the Chicago White Sox before getting traded to Boston in December 2016, earned his seventh consecutive All-Star selection in 2018 while posting a microscopic 2.11 ERA with 237 strikeouts in 158 innings across 27 starts. The Florida native ranks second to the Los Angeles Dodgers' Clayton Kershaw (2.39) in career ERA at 2.89 among active starters, per Baseball Reference. 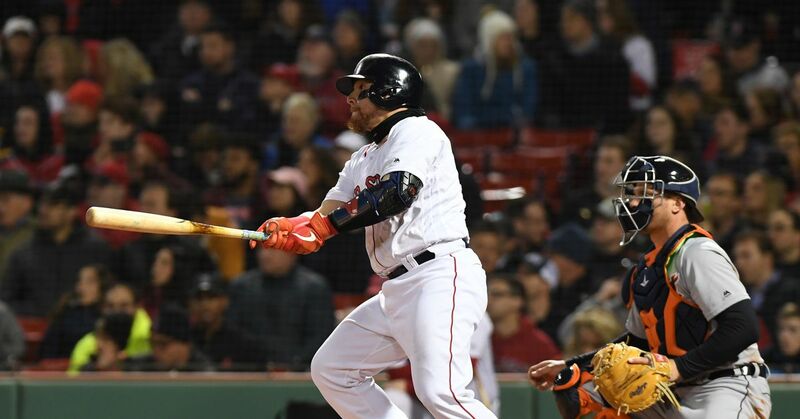 Sale dealt with shoulder inflammation during the second half of the 2018 campaign, but told Christopher Smith of MassLive in January there were no lingering concerns. "Obviously I feel normal again," he said. "Being able to throw free and easy and feel loose...obviously is a nice feeling. So we're just kind of building up like a normal offseason, getting ready for spring training." Sale was named the Red Sox's Opening Day starter for their Thursday clash at the Seattle Mariners. The only question now is whether his new contract will be in place by the time he takes the mound.